Black Living Rooms Ideas & Inspiration – Black is famously versatile, eternally fashionable, and immediately makes any room feel more modern. It’s a little easier to take this bold leap in a private area like a bathroom or bedroom, but the living room requires a degree of commitment that might require some reassurance. 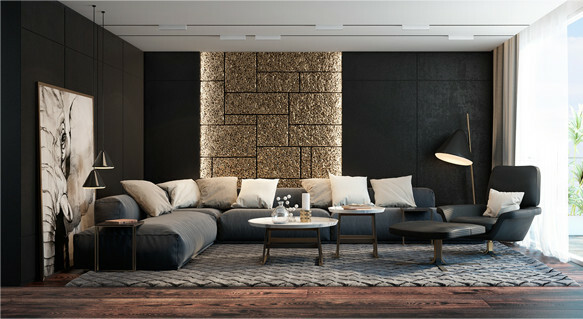 This post explores 6 living rooms with gorgeous black decor – some feature simple black accents and others embrace it all the way. Some of the living rooms are spacious and open and others use black to cozy up in a small layout. However you want to approach this ever-contemporary color, it’s here.